This entry was tagged food, pizza. Bookmark the permalink. Does Henry like pizza a lot? 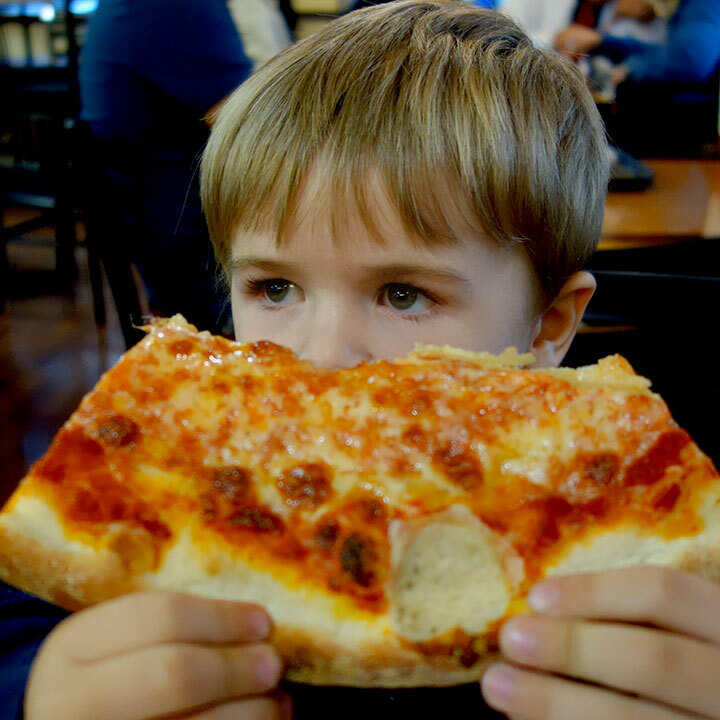 Wow, that’s one giant piece of pizza and two beautiful grey eyes! They say New York pizza’s the best ! But I forgot if I ever ate any while visiting. Henry has his favorite pizza place in our neighborhood and in the West Village. We try to have pizza Fridays every week because that is what he used to do at daycare. I think Dad took him on pizza Saturday that week though too. He doesn’t often turn down a piece of pizza.